Laid down, date unknown, as a Maritime Commission type (VC2-S-AP5) hull, under Maritime Commission contract (MCV hull 131) at Oregon Shipbuilding Group, Portland OR. 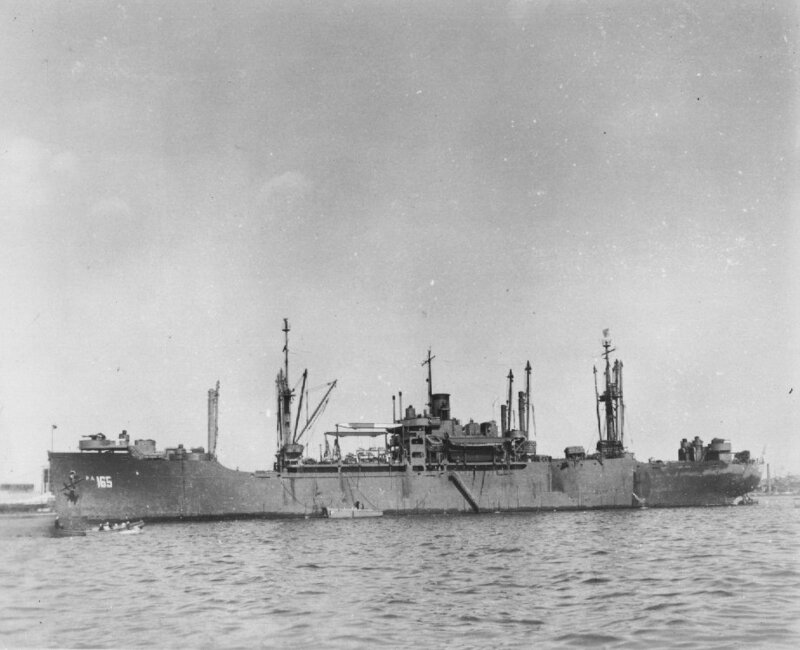 Decommissioned, 17 May 1946 at Norfolk VA. 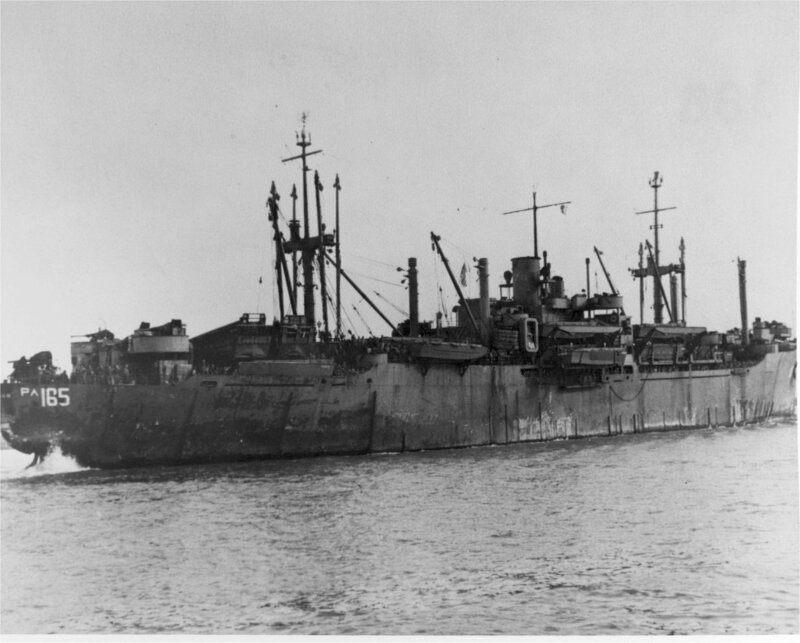 Returned to the Maritime Commission, 20 May 1946, for lay up in the National Defense Reserve Fleet, James River Group, Lee Hall, VA.
167k USS Effingham (APA-165) under way, circa 1945, location unknown.